Hello. 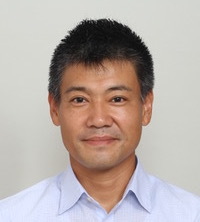 I am Atsushi Mizumoto, Ph.D. in Foreign Language Education. I am Professor at the Faculty of Foreign Language Studies and the Graduate School of Foreign Language Education and Research, Kansai University, Japan. My current research interests include corpus use for pedagogical purposes, learning strategies, language testing, and research methodology.